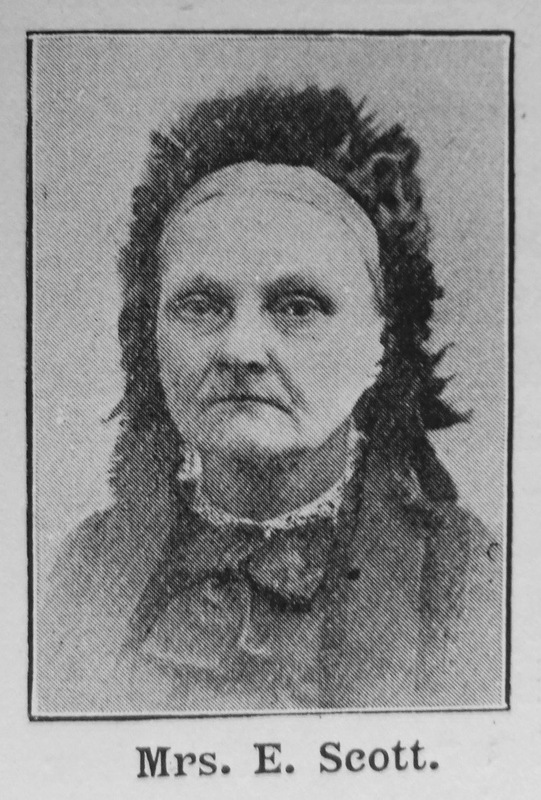 Mrs. Scott was born at Wincolmlee, Hull, on October 21st ,1823, and died at Walker-on-Tyne, on April 16th, 1902. She was the daughter of William and Sarah Eastwood, both of whom were Primitive Methodists. With her parents she removed to Tyneside in 1831, and was married in 1843 to Mr. Thomas Scott, who has been aptly described as “one of the Fathers of our Tyneside churches.” Their married life extended over a period of fifty-six years, and was singularly happy and useful. Mrs. Scott survived her husband by two and a half years. At the time of her death she was the oldest member of our Walker Society, and one of the oldest inhabitants of Walker, where she was highly respected by all who knew her. There were many points of resemblance between Mr. and Mrs. Scott. There was the likeness of physical appearance, so much so that in early life they were not uncommonly taken for brother and sister, rather than husband and wife. Mentally they were both characterised by sound common sense and wise judgment. There was in each something of statesmanlike sagacity. They were one too in spiritual aspiration and religious experience. There was constantly manifest an unfailing trust in Jesus for salvation, and a strong confidence in the wise and therefore good providence of God. And especially was there a unity of desire and effort, to make the Walker Society prosperous and powerful in all the departments of its life and work. The principal personal characteristic of our sister was first cleanliness. That was likely to be the earliest impression received by a stranger. She was always so scrupulously neat and clean. She took a legitimate pride in her personal appearance, and if “cleanliness be next to Godliness,” then Mrs. Scott lived very near to God. What applied to her person was equally true to her home. It is said “Order is heaven’s first law,” and so it was of our sister’s household arrangements. Order reigned supreme. Everything betokened the presence of a strong presiding spirit. Industry, tireless and active, was the sufficient explanation of this satisfactory condition of things. Carefulness was another prominent characteristic. In person and home there was nothing of ostentatious show or needless luxury. This feature must not be confounded with parsimony, nor regarded as inconsistent with generosity. It was indeed the parent of the latter, and made possible the liberality which was ever shown towards the church and other deserving institutions. She has left her children and grandchildren a great heritage, and, indeed, to all who knew her a legacy of priceless worth. She has left the memory and example of a blameless character and unspotted reputation. Elizabeth was baptised on 2 November 1823 at Hull, Yorkshire. Elizabeth married to Thomas Scott (1819-1899), an engineman, in early 1843 at Newcastle upon Tyne. Census returns identify four children.